Studio Blog: Go All Out! Tis the season… to sparkle! The Christmas adverts have officially hit the TV, so that can only mean one thing - the holidays are coming! Although we're all looking forward to the grub and the gifts, we all know it's the parties that make Christmas so fabulous. From sizzling sequins to jumpsuits, miniskirts and floor sweeping maxis, Christmas is the perfect excuse to go all out and get dolled up. Whether it's your work's Christmas bash or you're out catching up with friends, here's our top picks for getting set for the glitteriest time of the year! Tis the season to feel glamorous, and what better way to turn heads than with a fabulous frock! Whether you're seeking a trusty LBD or a glittery gown, we have a huge choice of seasonal dresses for all kinds of occasions. Get set for your red carpet moment this festive season with this sparkly floor sweeping fishtail dress! Make the most of the crushed velvet trend with this stunning kimono dress, perfect for family events or hitting the town. Sparkle this season in the Remy Sequin Dress from TFNC, the ultimate dress for anyone who loves sophisticated sequins. From the highest of heels to subtle boots and flats, we have loads of festive footwear available for you to strut your stuff this season. 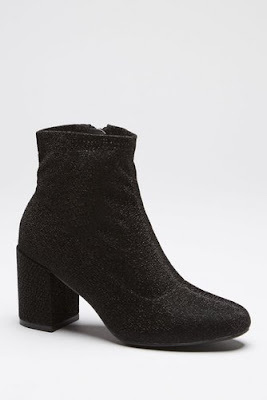 Add a little sparkle to any outfit with these gorgeous heeled lurex boots! Choose comfort without scrimping on style with these chic studded ballerinas. Add a rock and roll edge to any outfit with this genuine leather jacket from Barney's. Wrap up in this luxurious faux fur jacket, complete with a hood for keeping your fabulous locks dry!